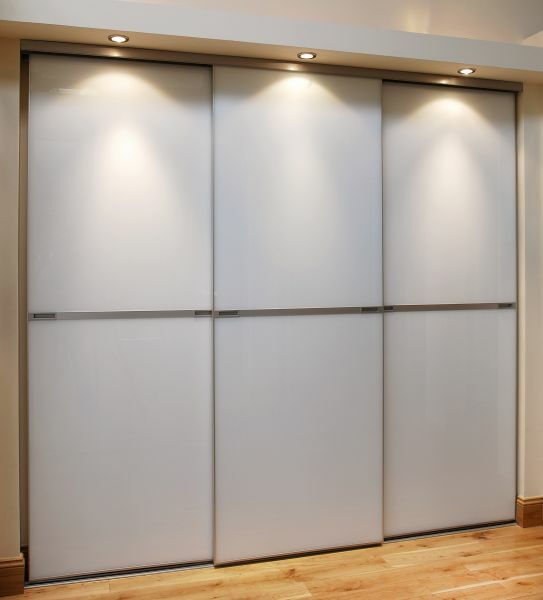 Sliding wardrobe door systems can be the answer to all your storage needs, whether your problem is too much "stuff" and just not enough room or just the need to tidy everything away making best use of the space you have. 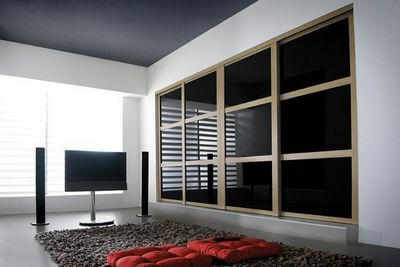 Every sliding wardrobe door is manufactured to the exact size to fit the opening so there is no need to "build out" the walls, wasting valuable space, as you have to do with some DIY systems. From floor to ceiling, wall to wall we make best use of every inch of space providing you with the maximum amount of storage possible. 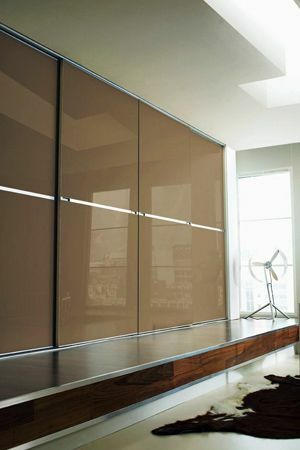 The combinations of coloured glass, mirrors and contemporary, innovative panel designs is endless. 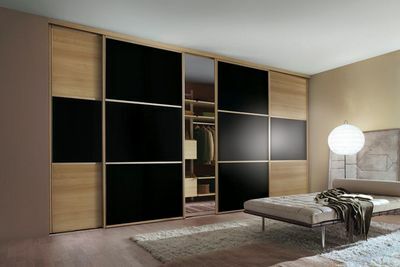 The images shown just a tiny sample of what is possible, and we are confident that we can find the perfect storage solution in any bedroom. 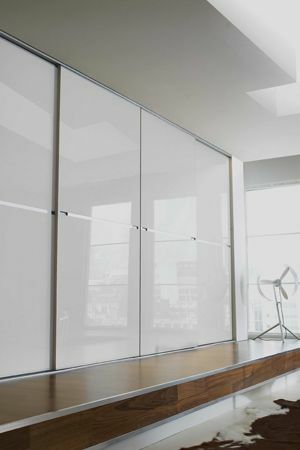 We have a comprehensive selection of finishes and styles to choose from in the showroom, and our door systems can be manufactured up to 2440mm in height and up to 1200mm in width per door. A complete assembly can cover an entire wall. We can custom-design any storage interior in a wide range of finishes to suit almost any combination of hanging, sliding or shelving arrangement. The picture below shows a typical interior for a three-door system, done to match the trim on the doors using 20mm melamine beech faced MDF, fitted with chrome hanging rails. Visit our showroom or make an appointment for a free home consultation. This allows you to see and feel samples of the materials involved, as well as enabling us to give you an accurate estimate for your ideal storage solution.